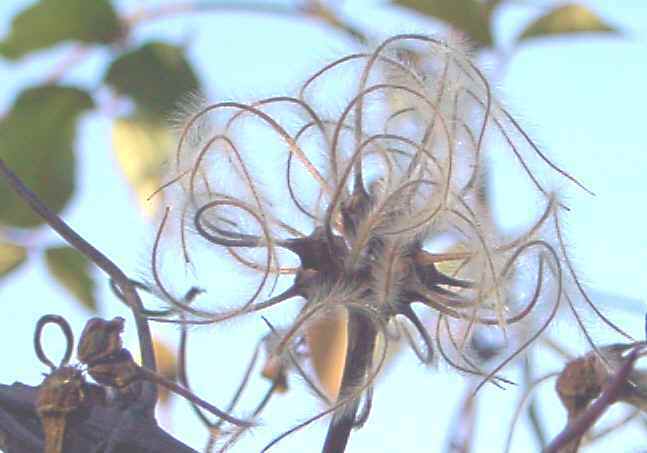 Clematis seed Note: LFH = Large-flowered hybrid. One may wish to try growing clematis from seed. It is a fascinating and interesting hobby, which can give pleasure all round the year. You can grow hybrids (which will produce a new, unique plant, with new flowers, every time) or species seeds (which may also vary in flower form etc to some greater or lesser degree). I'd suggest browsing the Table of Germination Data, to familiarise yourself with clematis germination rates. Have a look at this link. You'll need a bit of patience for some, but some others can come quickly. 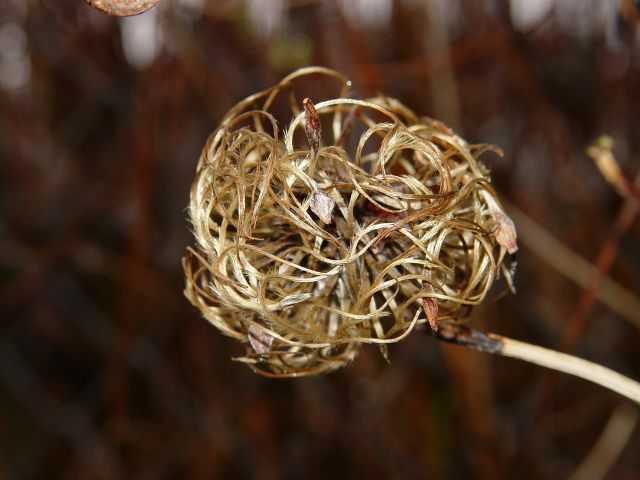 When clematis seeds are planted it must be appreciated that even species seeds may not always come 'true'. This is because seed is usually open-pollinated. 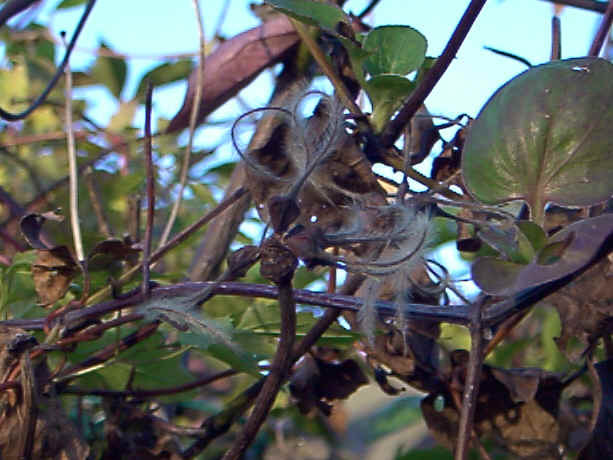 Open-pollination means that cross-pollination (cross-fertilisation) with another plant is possible, where other clematis are growing in the vicinity. Hence the seeds produced cannot ever be guaranteed to be 'true'. If you're a specialist this is a difficulty, because you may wish to be certain of the parentage; with open-pollinated seed, you can never be certain of the parentage. As it happens, if you're an amateur, like me, growing a few plants for your own interest, there's no difference in the interest level. Firstly, if the plant comes 'true', all well and good, because you have succeeded in acquiring a single specimen (which may or may not be a good form of the species involved - you'll soon see when it flowers) of the species you were hoping for. If the plant does not come 'true', it's just as interesting to grow and see develop, if not more, and just as rewarding! Its always possible that the flowers may be different or interesting in some particular way; which would be very pleasing. (See plant G82, at the foot of the Species page, for example). A single C. serratifolia seed settles into a pot. Most clematis are very attractive in flower, and that includes most of those that you grow at home as a hobby, whether hybrid or species. If you choose to grow Large Flowered Hybrid (LFH) seed, then all of your offspring will be different to the parents, because LFH seed never comes 'true'. Therefore, all offspring of LFH plants are interesting, and most of them will be quite attractive, or even beautiful. You can see some amateur-raised plants on the LFH page. Its great to see new cultivars; any good new ones, an email with an image would be well-received! If you consult the table of germination data on the Germination page, you'll see it can take a little patience to grow some types of clematis. Just be patient and you will be rewarded. The wait is worth it. 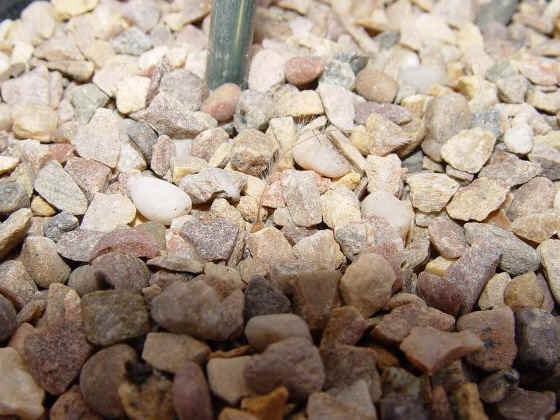 Germination can take a good few months, or sometimes longer, and can be erratic. Do check the seed germination data table, it'll be a useful gauge. You're unlikely, for whatever reasons, to get 100% germination. But since the time's going to pass anyway, the sooner you get your seeds in, the nearer you are to having seedlings. Once you have seedlings, you have plants, and then you have flowers. And the flowers are well worth the wait. And if you sowed seeds in succession, other seedlings should soon follow, in turn bearing their own new flowers. One thing though; its not good form to sow any named varieties, for example, say Clematis "Golden Tiara", and then label the offspring "Golden Tiara" as well. They won't be the same. C. "Golden Tiara" is a hybrid; a very beautiful, floriferous plant. But its daughters might not be, because they find themselves at the whim of their own genes, which are not the exact same combination and pattern. Hybrids produce plants which are usually different to the parent. Its reasonable therefore to label your plants "seedling of 'Golden Tiara'", or something like that; but never "Golden Tiara" herself. Talking of names, if you do raise something different or noteworthy you can name your own plants. If you want to go a stage further you can apply to the International Clematis Registrar to have the plant registered. They will check to see if your name is acceptable, and that it is not already, or has been, in use. Plant names, like human names, are subject to certain rules and conventions, and certain limitations. Guidance is available from the Registrar. 1. 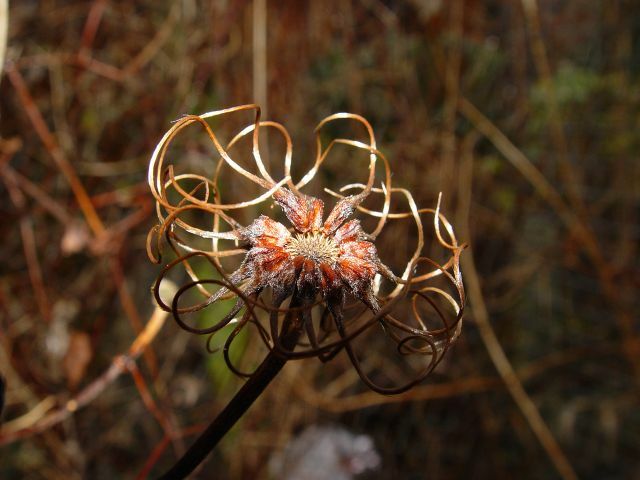 If you want to acquire Clematis seeds you could start with seeds from your own garden plants. If the seed comes from LFH plants (for example, King Edward VII, Mrs Cholmondeley, etc) then the seedlings you raise will be interesting, because they will not come "true" - you will get a new mix of genes at fertilisation or self-fertilisation, which will ultimately be reflected in the visible characteristics of the progeny. You may get modest variation, or significant variation, or anywhere between! So they will at least be interesting, and most rewarding for initial attempts. 2. If you want to go a step further, join the Clematis Societies mentioned, and take advantage of the excellent annual "seed exchanges". Each year members collect and send in their own (generally open-pollinated) seeds, from their own plants, so each Society can then sell the seed, to raise funds. Members get first choice. Seeds are inexpensive, and the range available is extensive. You can by this sole means acquire and grow a much wider range of clematis. 3. 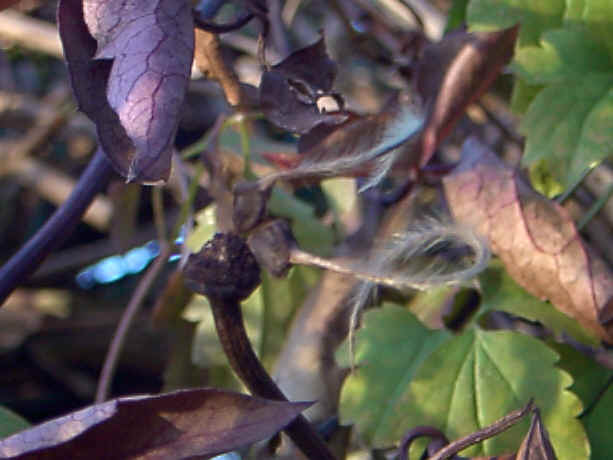 You will find, if you keep an eye out, (English expression) specialist nurseries which produce catalogues listing different clematis seeds, sometimes from their own "field-collection" contacts. 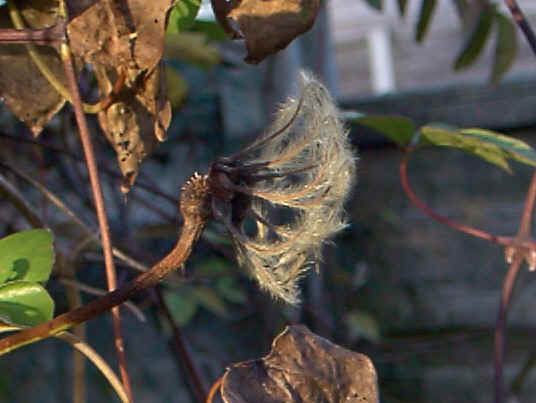 There are several in the UK; in addition at least one Firm in the UK sends "germinated seedlings" of various clematis - mainly species, seeds, by post. 4. You might want to look at sources such as, for example, the Sino-Himalayan Plant Association; each year the Association organises annual seed-collecting expeditions to fascinating areas such as Nepal, Chitral, Tibet, etc; I CAN ASSURE YOU that the list of seeds which results is a veritable treasure trove to anyone interested generally in gardening and plants. 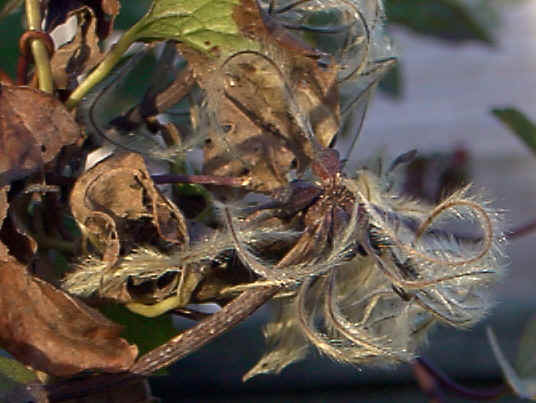 The clematis inclusions are of tremendous interest. You can purchase a "full" or "part share" in the seed-haul of an expedition for a modest fee. A highlight indeed of December, which is the usual delivery time. They arrive with good information sheets, giving details of the locations at which the seeds were gathered, cultural notes, germination tips, etc. 5. You might write to contacts in order to try to "track down" specific seeds. 6. You might try your hand at crossing your own plants. Creating new plants, by deliberately pollinating your own plants with pollen of your choosing, is a hobby in itself. The process is not difficult, and an amateur can quickly "get the hang of it", without great technical knowledge or complicated equipment. But that is another story!! However, if hybridising is of interest to you there is some further information on the Hybridisation page, including some results data. If you want seed you really can, by post, get a tremendous selection from the Society Seed Exchanges; that's another good reason to be a member of either the International or the British Clematis Society; or better still, both.